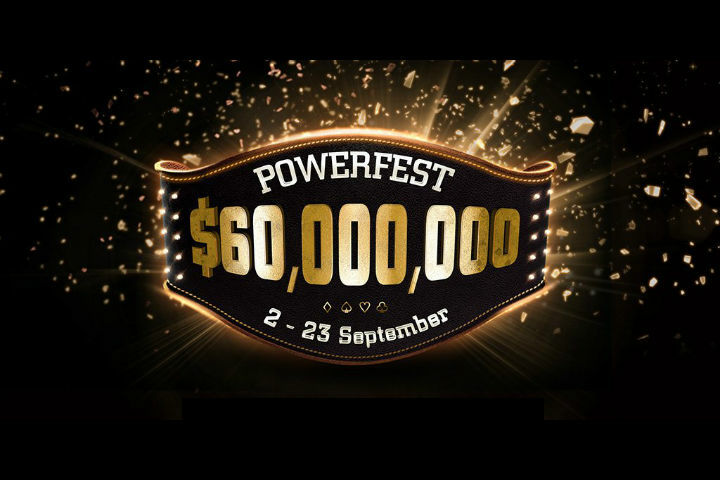 Partypoker is upping the ante with a Powerfest online poker series that guarantees at least $60 million in prize pool money will be awarded over 670 events from September 2-23, the same time as the popular World Championship of Online Poker (WCOOP) runs over at competitor PokerStars. The Powerfest series has a little something for everyone, whether you’re a high roller or a micro stakes grinder, with buy-ins ranging from $1.10 all the way up to $25,500. This will be the ninth installment of the Powerfest and is set to become the largest poker series in Partypoker’s 17-year history. Starting on August 23, Partypoker is giving its customers a chance to win a share of $50,000 worth of Powerfest tournament tickets. Players can earn free tournament tickets by putting in enough hours in cash games until the September 1st deadline. Players can also earn entries into series events via satellites. The upcoming online poker extravaganza is highlighted by 20 championship events, 15 of which guarantee at least $1 million in prize money, including the $25,500 buy-in Super High Roller on September 20 that has a $3 million guarantee. The winner will receive at least $735,000. Powerfest will have a tough competitor. PokerStars, the world’s largest online poker site, is running its popular World Championship of Online Poker (WCOOP) series at the same time (September 2-17), and is guaranteeing even more prize pool money than Partypoker. WCOOP will award its players at least $70 million over 60 events, with buy-ins ranging from $2.20 to $25,000. The highlight of the series is the $5,200 Main Event that guarantees at least $1 million to the winner and a $10 million total prize pool. PokerStars is also giving out seven Platinum Passes, good for a $25,000 seat in a PokerStars PCA tournament in the Bahamas in January and travel expenses, during the WCOOP series. Many millions to both popular sites! This is wonderful for poker! Great competition! In my country only Pokerstars is lisenced. I do not know why partypoker is not!! Why do poker sites feel the need for direct competition like this? 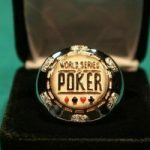 I know on the surface it sounds goo that there is competition out there, but think of it this way, if PartyPoker started theirs the week AFTER the WCOOP then not only would they get all the winners from WCOOP dumping money into their site, but it would also allow players to compete in both series without having to stretch themselves thin either monetarily or via multi-tabling. Running them side-by-side is a huge gamble and I’m not so sure they’re going to win it. Perhaps this is such an attempt to take care of the “poker ecology” – to force experienced regular players to choose and play somewhere in one series. Leaving more room for lovers. This will really make the field weaker, but it is obvious that there will simply be fewer participants in the tournaments. The good news is that perhaps the guarantees of the tournaments will not be covered by the paid BI. 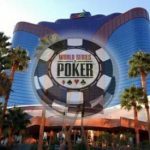 This shows how poker sites are developing players field and how much sport that is also a good source of income is attractive and profitable the poker world only has to win with these healthy and interesting competition between two major poker sites. I do think that competition It’s a good thing and for my part I will for sure play some events at PartyPoker. For very long time PokerStars had almost the monopoly in online poker. They are still the poker site with the biggest field of players and the must big shedulle of MTT but I do think that Party do a great job and with time I’m sure that they will attract many more players. Every MTT player like the big gtd MTT and the poker series and with additional promotion and sat from 1c that Party are doing I’m sure that everyone have his chance to play. Partypoker is one of my favorite rooms, for the first time I am going to play freerolls to try to win a place in a tournament, I hope to get a good prize, I have seen that there are many satellites for this POWERFEST tone, I will be part of that $ 60,000,000 prize. I’ll be ready September 2 and 3 to earn money at Partypoker! I received a call from him on the cell phone, informing me that I won a ticket to participate, I was absent from their room, now we will have to play there ne .. Satelite for free to win a dime if all goes well .. 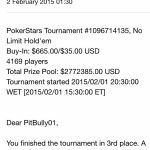 Thank you Partypoker .. good luck to those who will attend. Looks like a really good series by Party Poker I will definitely check it out and play a few events. I prefer WCOOP on Pokertsars though. I plan to play quite a few WCOOP events, mostly on the low level and mostly O8 events. What a great event. Exact at my vacation on Caribbean sea. Maybe I can play on the late september events. I am interested in the following tourney: “Sept 23, $55 Medium Level ($250,000)” or other with this type of buy in, between 22$ and 109$. I will begin with satellites and try to catch my share at this event. Last week I got a 22$ ticket from sat, but I throw it away. I liked this competition against PokerStars. It is allways good a health competition and can make the game with bigger prizes with less people in battle for it. I think technically the level of the PartyPoker tournaments are easier to play, without doubts are longer and tiring, but technically the chances of reaching a final stretch is much higher than in PS. 2 great Events!! but I can only afford to play in Microstakes 🙁 PowerFest it is!! Goodluck to everyone playing in these 2 fantastic events!